Visitors are often surprised and delighted to find a diverse array of specialty nuts, olives, fruit and wine grapes and the opportunity to sample award-winning wines, olive oils, artisanal cheeses and more. Visitors are often personally greeted by the farmer or farmer’s family and enjoy an intimate, unhurried atmosphere often filled with stories from the farm. Most wineries and olive oil producers have created beautifully appointed tasting rooms allowing for leisurely exploration of the farm bounty. Whether a day trip or a full weekend a trip to the Sierra Oro Farm Trail leaves people feeling as though they have discovered a hidden food and wine gem. Start your day with a drive down the Midway (from Chico). Your first stop on this tree-lined street will take you into Durham. On your right just before town is Hodge's Nursery & Gifts. Ken Hodge and his wife, Shelly, are passionate about plants. Stroll around the nursery or stick around for a class where you can learn to grow your own grapes. Ken’s enthusiasm might even convince you how easy it is! Back on the Midway into Durham, you’ll pass through the town’s main intersection. A couple blocks past Main Street will be a popular local eatery called The Chatter Box. Catch up on the local goings on and get a late breakfast or sandwich to go for your day of wine tasting. 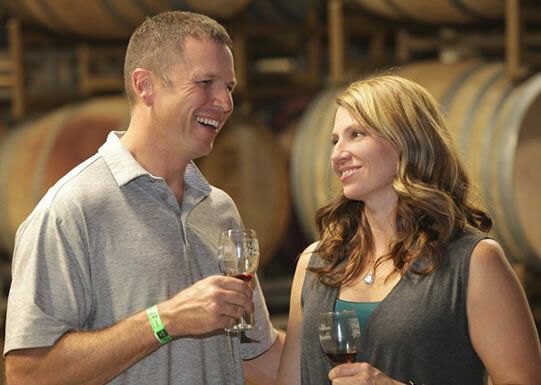 Your final stop is Almendra Winery and Distillery, the newest tasting establishment from Berton and Carol Bertagna. Their elegant yet rustic tasting room is the perfect place to stop and ejoy a glass of one of the 17 Almendra and Bertagna Son Kissed wines they offer in their lineup. ​Treat yourself to a spirit flight featuring their brandies and vodka as well. One of the top agricultural products grown in Butte County is nuts, specifically almonds. Local farmers refer to them “am-onds” and often joke it’s because “we shook the ‘L’ out,” referring to the way the trees are harvested with a shaker. You can find many generations of almond farmers on the Sierra Oro Farm Trail, one of whom is Maisie Jane’s California Sunshine Products. The idea for Maisie’s colorful sunflower logo for her nut company was born as her high school FFA project. The concept took off, it stuck and now she sells almonds internationally under her namesake label. You can meet Maisie and visit her store, where she carries many local products, gift baskets and delicious pies. Head south towards Oroville and your next stop is Sohnrey Family Fine Foods store. The Sohnrey’s have been farming for 5 generations in Butte County. Their store showcases their family’s crops, primarily nuts and rice. Meet the Sohnrey’s, many of the family members work in the store, and try the Snickerdoodle Almond Butter, you’ll be glad you did! Once you’re in Oroville, pay a visit to Jamie Johansson, Lodestar Farms owner and farmer. The Oroville area is the only community in California that has its own flavor and style of olive oil, a tradition Lodestar Farms is proud to continue with their Late Harvested Mission Olive Oil. This flavor is based on tradition, combined with the weather, the soil and the Mission olive trees, with a history in California that has put Oroville on the map as the place where California grows its olives. Louis Johnson at Butte View Olive Co. is also making olive oil from his Mission olive trees. Only open by appointment, Butte View has one of the few olive presses in Oroville, and custom-harvests and presses oil for many California Olive Oil companies. 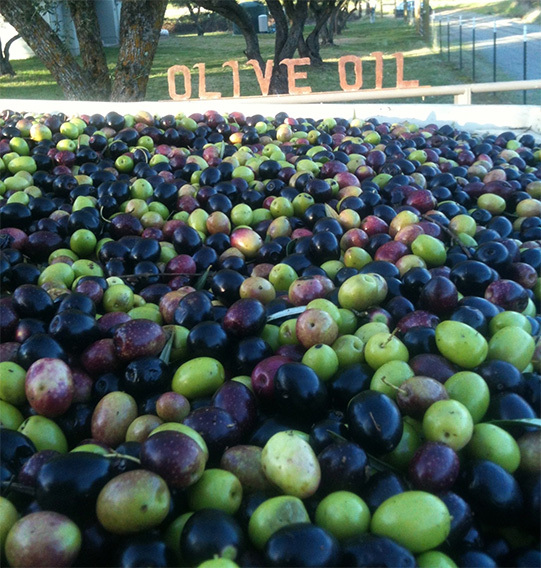 Oroville has a later harvest than anywhere else in California, harvesting local olives usually starts in late November and can continue into January. Visit during this time and you may catch a glimpse of the olive press in action! Calolea Olive Oil, a third producer of Mission olives, has recently opened their doors with a new addition of a tasting show room on their olive orchard in Bangor. It is a perfect setting overlooking the Sutter Buttes and endless mature olive trees that produce Calolea’s award winning olive oils and body products. Open by appointment only, just call or e-mail to schedule your visit.